Washington is known for a lot of things: phenomenal outdoor recreation, legal recreational marijuana, a booming tech sector and coffee. It's also infamous for having the most regressive tax system in the country, where the poor pay a higher percentage than the rich. The Institute on Taxation and Economic Policy (ITEP), a think tank based in the nation's capital, has consistently ranked Washington as the "most skewed tax system in the nation." They calculate that the lowest 20 percent of income earners (families making less than $24,000) contribute almost 18 percent of their annual earnings to state and local tax coffers, while the top 1 percent (those making over $545,900) pay just 3 percent of their income. "Washington state has the most upside-down tax code in the nation," says Jack Sorensen, a spokesman for Balance Our Tax Code, a group lobbying for state-level tax reform. 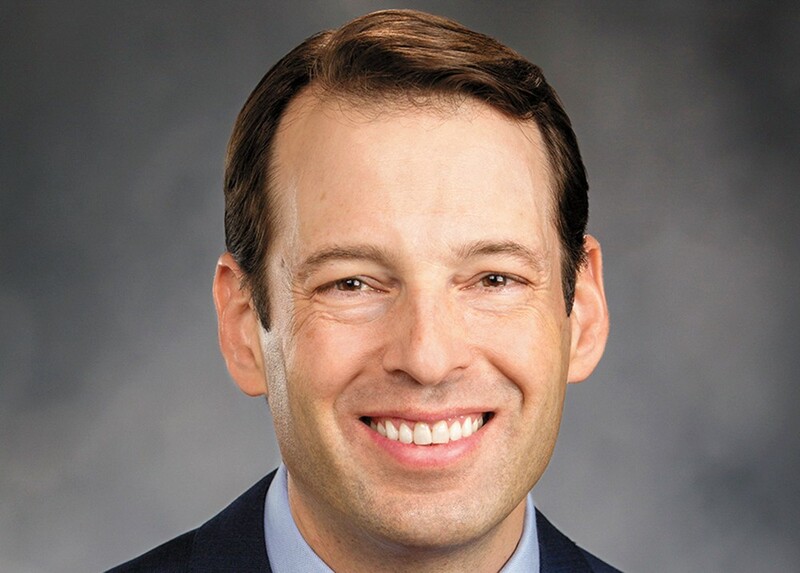 Senate Majority Leader Andy Billig (D-Spokane) isn't sure whether there are votes for a capital gains tax in Olympia. 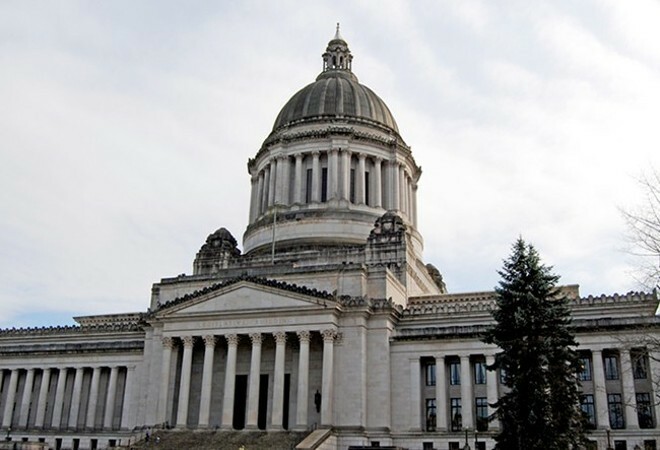 Now, Democratic state lawmakers in Olympia want to pass a new tax on Washingtonians' profits (above a certain threshold) from the sale of stocks, bonds and other assets — otherwise known as a capital gains tax. But after years of elected officials unsuccessfully pitching similar ideas, its fate in the Legislature remains unclear, and critics dispute whether the measure is even legal. The types of taxes that Washington relies on to pay for public services is the chief culprit of this disparity, the Institute on Taxation and Economic Policy concludes. In a 2018 report, institute researchers argued that the state's heavy reliance on sales and excise taxes — constituting over 60 percent of the state's tax base — and the lack of a personal income tax are the main drivers. Additionally, the state's lack of graduated personal income tax contributes substantially to the warped nature of the system, critics argue. Washington is the outlier when it comes to not levying an income tax: 41 states and D.C. levy some form of a personal income tax that works in tandem with other revenue streams, according to the 2018 ITEP report. "One of the biggest reasons that the tax code is so regressive is that it does such a poor job of tapping into or applying really concentrated forms of wealth," Andy Nicholas, associate director of fiscal policy at the left-leaning Washington Budget and Policy Center, tells the Inlander. Washington's aversion to income taxes dates back to the early 20th century: In the 1930s, the state Supreme Court shot down a voter-approved ballot initiative enacting a progressive state income tax in a 5-4 ruling, arguing that the tax was unconstitutional since income is property and the state constitution prohibits nonuniform taxes on property. Decades later, in 2010, voters rejected another income tax ballot measure. Regardless, wringing Washington's wealthiest households for more money is exactly what Democratic lawmakers in the state Legislature aim to do this year. With healthy majorities in both chambers, lawmakers in the House and Senate are pushing similar capital gains tax proposals. The Senate version would impose a roughly 9 percent tax on profits over $250,000 from the sale of stocks, bonds and assets like commercial real estate, which reportedly would affect roughly 8,000 Washintonians and bring in around $780 million annually starting in 2021. Those revenues would pay for targeted tax breaks, including those for seniors and low-income families. "The wealthiest among us should pay their fair share," says Rep. Laurie Jinkins (D-Tacoma), a sponsor of the House bill and a longtime proponent of capital gains taxes. Nicholas, with the Washington Budget and Policy Center, says that while the measure won't make the state's tax system progressive overnight, it would be a "really important step in getting there." Still, proposals for capital gains taxes from state Democrats aren't exactly new. Back in 2015, House Democrats were pushing for a capital gains tax. Similarly, Democratic Gov. Jay Inslee has routinely proposed various iterations of a capital gains tax over the last few years — his most recent pitch landing in his 2019-21 budget proposal. However, the measure never made it onto Inslee's desk; Senate Republicans hostile to the notion controlled the Senate until 2017. And as recent as last session, when Democrats held majorities in both chambers, a proposal for a capital gains tax from House Democrats went nowhere. Now, the political waters may be different, backers of the tax argue, with Senate Democrats pushing a capital gains tax of their own. (Democrats also increased their majorities in both chambers during the 2018 election.) Rep. Jinkins tells the Inlander that she feels "confident" that the House will vote a capital gains tax off the floor. Nicholas says that the odds of a capital gains tax getting passed this year are "are greater than they ever have been." Additionally, there's the question of whether a capital gains tax is even legally feasible, given standing case law from the state Supreme Court that struck down past income tax proposals. To get around this, proponents are framing it as an excise tax on certain business transactions, as opposed to a tax on traditional income. "What's different about a capital gains tax is that it's a tax on revenue that you receive not by your own work, like hourly work or salaries," says Hugh Spitzer, a constitutional law professor at the University of Washington. "You're basically in the business of investing in the market in one way or another and that is like a business transaction much more than earning money by work." Jason Mercier, director for the Center for Government Reform at the conservative Washington Policy Center, strongly disputes this argument: "It is the income that you report for your federal income tax return," he says. "There's no way that a court would find this as an excise tax." He adds that the Democrats' proposal to target certain levels of profits from capital gains tax undermines the argument that it's an excise tax. "An excise tax is a tax on the transaction. It's on the sale price or the volume," Mercier says. "If they really wanted a stock transaction tax, that's a constitutional tax. But everyone who conducted a stock transaction would [have to] pay the same price." An earlier version of this story misspelled Jack Sorensen's last name. The original print version of this article was headlined "Unfair By Nature"
How can Cathy McMorris Rodgers portray her party's compassion when it is led by Donald Trump?